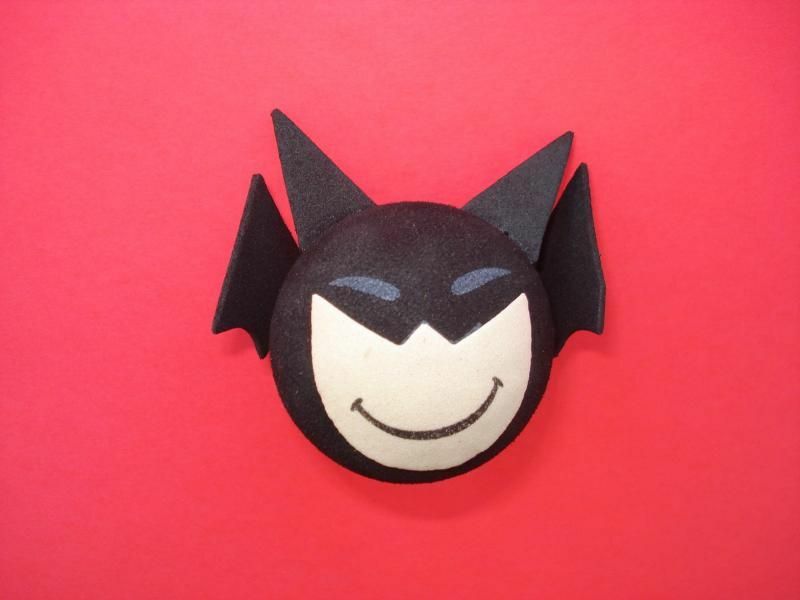 The long and winding tale of multiple Batman antenna toppers for my car has been quite an ongoing Saga. A listing of the earlier chapters of the story can be inspected over here. The most recent topper, the triangular one, popped off the antenna recently as I was going through the car wash. I didn't like that one enough to get out of the car and find it on the ground. Good riddance to bad rubbish. But the loss left me in need of a new topper. I do try to change it up every time I get a new replacement to keep the Saga engaging and, up above, you can see what this year's model looks like. Silly, right? I purchased it on ebay and it arrived in the mail from China. Do you like it? Maybe there's one for you too if you check over here. Last month when trying to figure out the identity of the artist responsible for a nice page of comic book artwork, a figure in the drawing brought Tenny Henson to my mind. This is in spite of the fact that I have seen no new art from Mr. Henson in over three decades. His name may not even ring a bell with some fans. Let's power up the Wayback Machine so I can tell you a little bit about Tenny Henson's place in the history of comics. First let's purposely overshoot our destination and go all the way back to 1972. In October of that year I was as pleased as all get-out to spot on the newsstands the first-ever tabloid-sized comic book. It was huge! 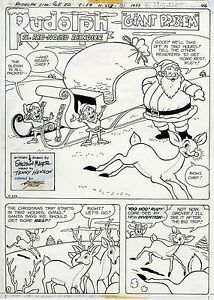 The DC comic featured (a two-month early) Rudolph the Red-Nosed Reindeer and, at a cover price of $1.00, was five times as costly as the regular-sized comics of the day. I didn't care! I bought it on the spot and was crazy about the fun story and definitely also about the massiveness of the issue. How I wish those oversized comics were still being published today. Other comics fans liked them also and DC put out a regular serving of their Limited Collector Editions, as they called them, and Marvel followed suit with their Treasury Editions. Rudolph became a tradition every October and that suited me just fine. My understanding of the source material was vague at the time but in fact those tabloid Rudolphs were reprinting stories that DC had published in the 1950s. The reprinting came to an end in 1976 though, because DC decided to fill that year's Rudolph with all-new story and artwork. 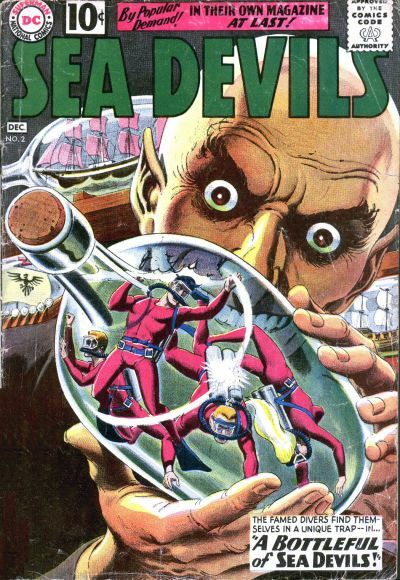 Comic book genius Sheldon Mayer was called upon to write and pencil the stories, and he was the perfect choice. The name of the inker in the credit box was unfamiliar to me. Tenny Henson. I had never heard of that artist before but his line was sleek, elegant, and just plain beautiful. Whichever editor was responsible for pairing Mr. Mayer and Mr. Henson on those Rudolph stories made an inspired choice. The annual collaboration by these gentlemen on Rudolph continued for years. (I think I even remember there was a Rudolph book for Easter one year!) 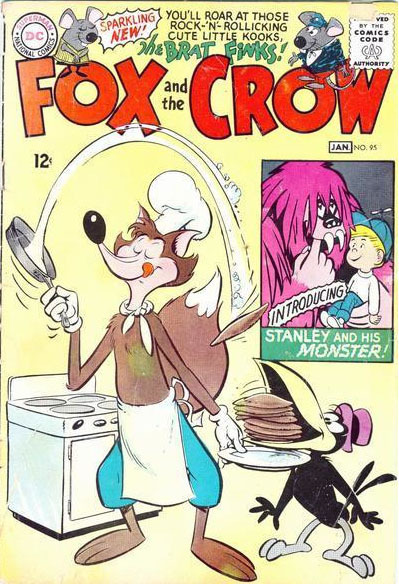 It wasn't until later that I found out that Tenny Henson hailed from the Phillipines, like so many other fabulous artists who took the comics world by storm in the 1970s. Mr. Henson also drew issues of Shazam and Plastic Man and his style was ideal for those series as well. But by the mid-1980s, Tenny Henson had disappeared from the comics pages and, as I wrote above, I saw a page of artwork last month that reminded me of his style. I started poking around the internet to see what I could find out about Tenny Henson (and I got more than I had bargained for). Good to hear from you. I didn't find my dad until last April 9, 2013. To my surprised, his wife called me. When I talked to her, I felt something is wrong. And she told me a sad news that my dad died of heart attack that day. I feel so grateful that you thought of putting up another article about him. Thank you so much. It is our way of thanking my dad for sharing his talent to us. Let the world know how talented he is. No one will ever replace him. Oh my... I am crying now. Sad that there will be no chance to see him again. Too late. Maybe God has the reason. No matter what had happened from the past, he will always be in our hearts forever. Please let me know if you posted the article in your blog so I can share it to my family, relatives, and friends. Again thank you so much for giving your time in doing it. God bless you and have a good day! My interchange with Joanna Henson gives me a welcome reminder: sometimes when you study in the House of Comic Books, real life comes knocking on the door. This very day of 23 February 2014 there was an Afternoon of Remembrance in honor of the many animation industry stalwarts whom we've lost in the past year. Tenny Henson was on the list as you can see for yourself over here. I was unable to personally attend but I do hope it was a wonderful tribute and that all those in attendance got to see just how much the talents of their loved ones were appreciated. Do you know that the last page of The New Yorker every week is a caption-writing contest for a wordless drawing cooked up by one of their cartoonists? I've sent in nuggets of brilliance a few times, to no avail. One time a few years back the winning caption was submitted by Roger Ebert. Superman was the star of the recent contest shown above (and I like that caption very much). The latest challenge features Batman and you have until 9 February 2014 to blind them with your flash of genius over at NewYorker.com/captioncontest. Whoops, that was two days ago. Where oh where does the time go? Sorry about that! 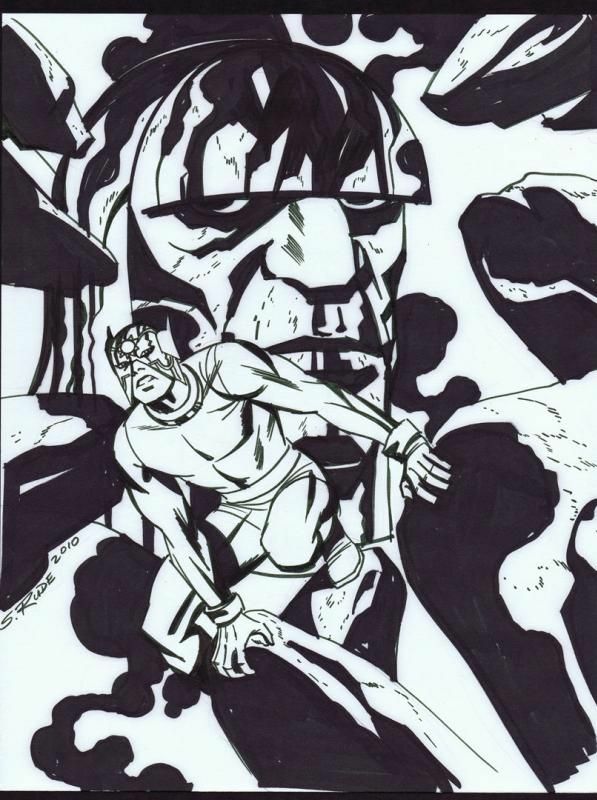 The ebay auction for this nice drawing by Steve Rude just ended. It's a sharp interpretation of Orion and Darkseid to which I believe Mr. Jack Kirby himself would have given a thumbs-up. I liked the artwork very much and was winning it but, ten seconds before the auction's end, another bidder made it clear that he liked the drawing even just a little bit more. Congratulations to that winning bidder! A Jack Kirby page is up for bid on ebay right now and the bidding is stalled at $41. 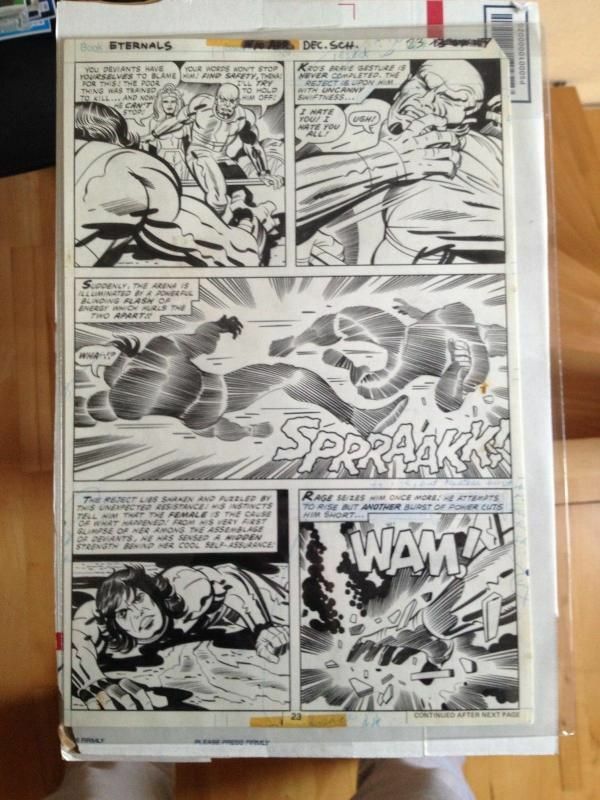 Even back in the 1970s when I was heavily into buying original comic artwork I didn't see a deal like this. It's a nice page from The Eternals #10. Nobody is questioning the authenticity of the artwork, yet there's a very good reason the bids are not stacking up. The seller is allowing for local pickup only instead of shipping the page, and he is in Germany. Now you see why The Hayfamzone Blog is affectionately nicknamed by many as Heads-Up City! A sufficiently motivated collector could purchase himself a plane ticket to Germany and come home with a pretty sweet deal. 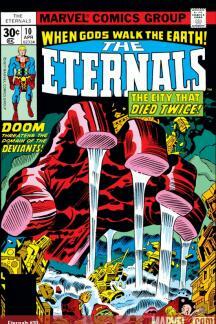 While it lasts for the next six days, you can inspect this Eternals auction over here. UPDATE: The seller inserted an addendum to his item description indicating that he will indeed ship worldwide and that he had chosen the Local Pickup Only option when he placed the listing because the ebay automated system was unable to determine his postal zone. As a result the bidding has crept upward to what would definitely be considered a 21st century price-point. It was fun while it lasted! Nick Caputo has been writing on his blog about the historical significance of The Comic Reader as a fanzine and I figure I may as well take the wave he is whipping up and ride it to glory. I doubt that Nick's coverage will dig so deep into minutiae as to get around to mentioning a full-page gag strip written and drawn by yours truly that was published in 1981's TCR #189, so The Hayfamzone Blog will take up that gauntlet. Through the 1970s it was a treat whenever a new issue of The Comic Reader (or The Buyer's Guide) showed up in my Chicago mailbox, and when TCR #189 arrived with my own artwork in it I was walking around on a cloud for days! That's my drawing up above and you can see a somewhat larger view if you click on the image. 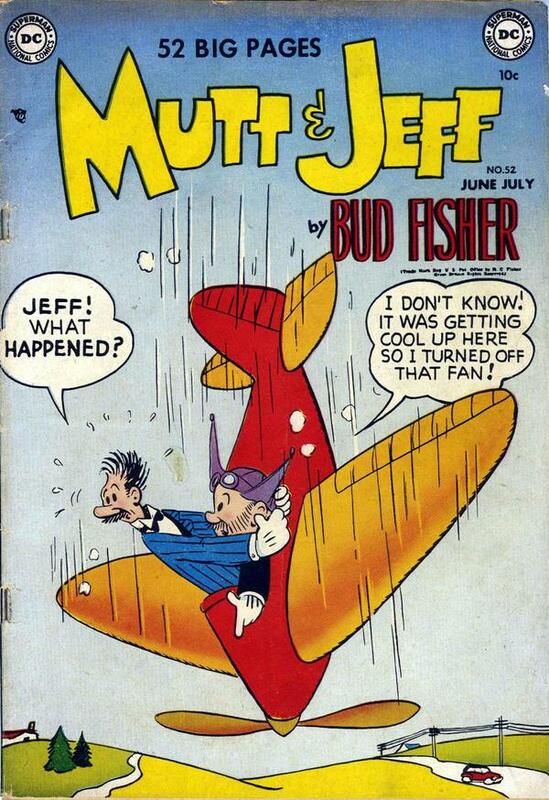 Unless you're as old as dirt like I am, the comics-related significance of the "Mutton Jeff" title may not immediately register with you so you might want to take a peek over here. I have no earthly recollection of what pun I was reaching for with "Hanging Lamb" in panel 6 and I invite to write in if you have any clue. 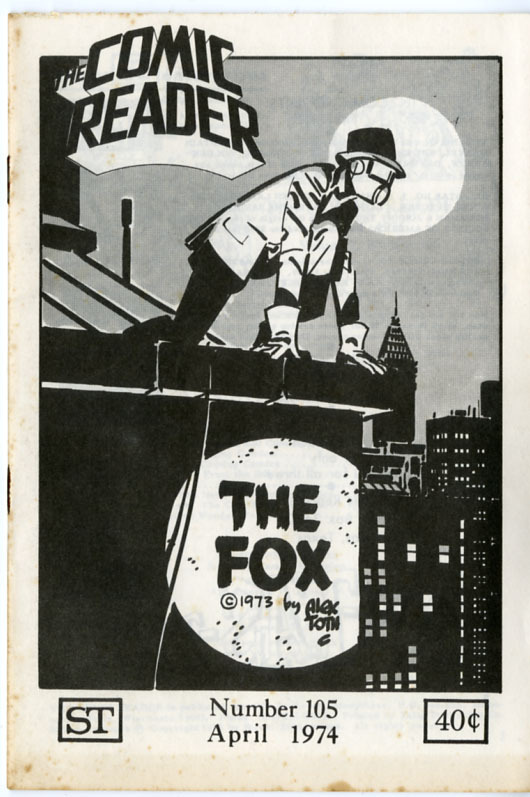 By the way, my favorite two Comic Reader covers were The Fox by Alex Toth and Power Man/Iron Fist a la Don Martin by John Byrne. 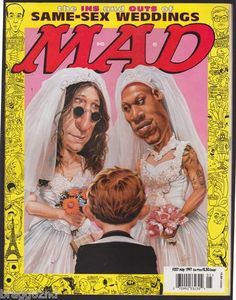 Howard Stern and Jerry Seinfeld were talking on the radio this morning about how important Mad Magazine was to their comedic developments. They each feel that their respective Mad covers are among their proudest accomplishments. Speaking of DC Comics, Howard Stern mentioned for the umpteenth time that erstwhile DC maven Jack Adler was his cousin. Students of history will recognize Mr. Adler's name since that gentleman colored just about every DC cover in the 1950s and 1960s, but my absolute favorite work of his were the 1960-1962 covers to which he added grey tones. Here's one of them and you can see more over here. Howard and Jerry and Mad. Comics and comic books, together again for the first time!